​​​ ​PLANO – Southern Methodist University has decided to sell its campus in Legacy business park. The 16-acre school complex at 5236 Tennyson Pkwy. is between the Dallas North Tollway and Preston Rd. 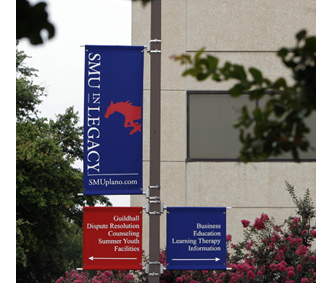 Called SMU in Plano, the 48,000-sf branch campus previously housed facilities for Electronic Data Systems. The satellite campus opened in 1997, offering business, technology and other classes.